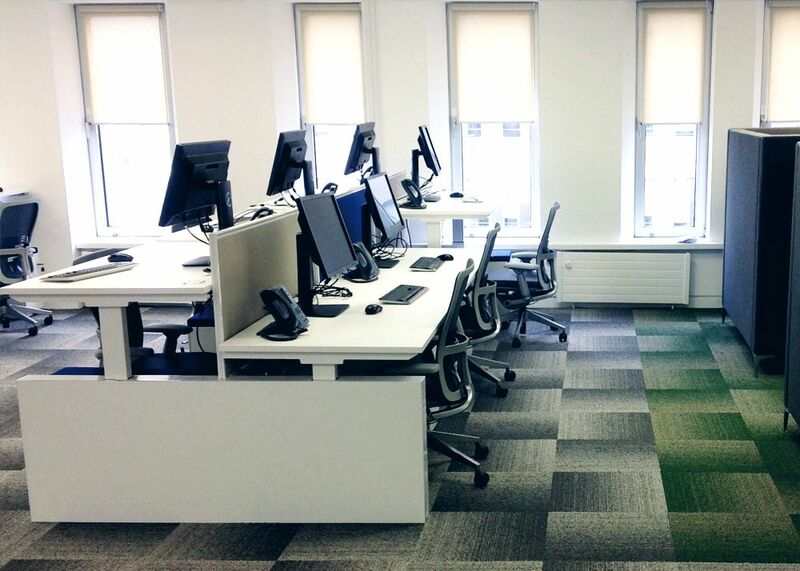 Working in conjunction with a dealer partner in Ireland, Winroy Office furniture. Winroy were approached by LinkedIn, one of their long standing clients, to consult on a new expansion to their Dublin offices. 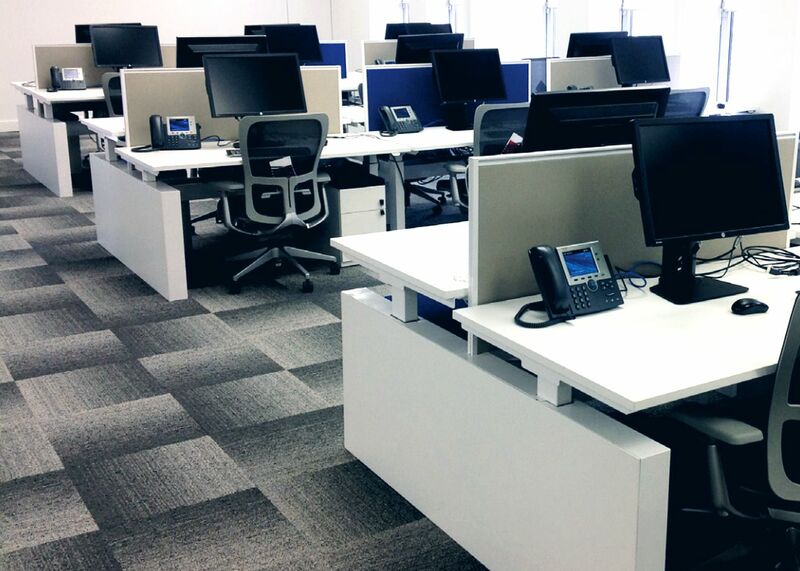 Winroy were asked to come up with a sit-stand desking solution that would work within their old building. The building being old with exposed ceilings and polished concrete floors, posed problems when it came to cable management. Paul Kenny at Winroy worked closely with the design team at LinkedIn to find out their exact needs, then asked the design team to come up with a solution. The design team came up with a special workstation based on our Progress electric sit-stand desking range with some alteration to the cable management system. Special desk linking brackets were also designed to eliminate finger trapping as the desking can rise and fall by 500mm. Another benefit of the plate was to keep all the benching in-line in the open plan environment and allow cables to pass from bench to bench without any issues. The client was very happy with the end product shown in the images.